Pack of 4 mannequins children wit head black finish. 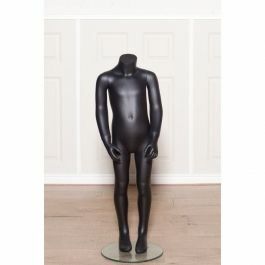 Mannequin on glass base on sale. Pack of 4 mannequins children wit head white color. Mannequin on glass base on sale. 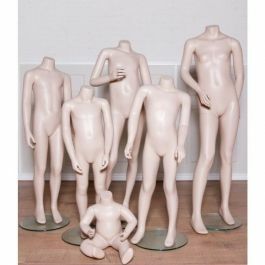 Pack of 5 mannequins children without head black color. Mannequin on glass base on sale. Child Mannequin of 4 years with black anti scratch paint. 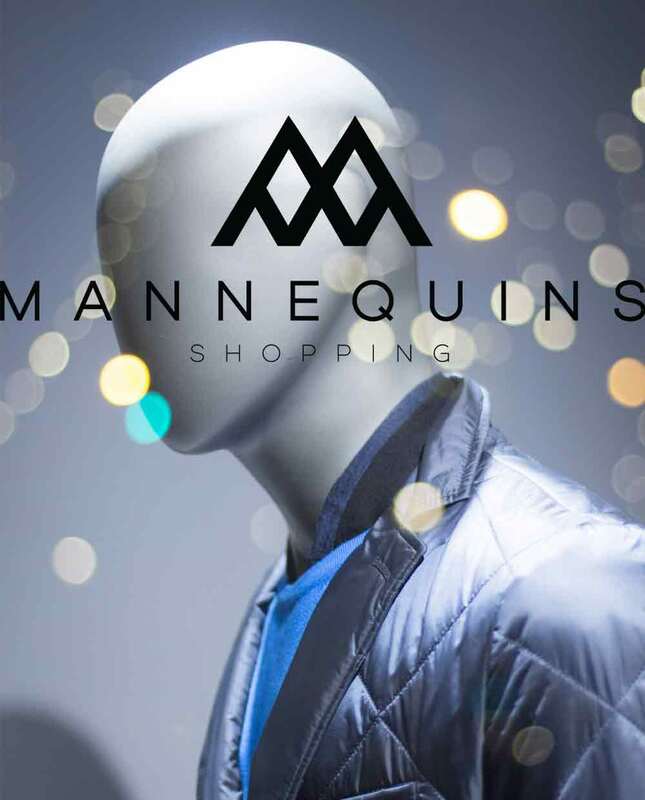 Mannequin supplied with round glass base. 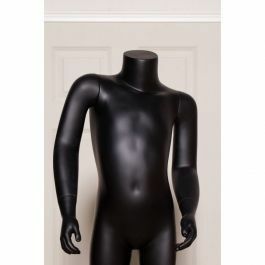 Abtract kid mannequin with face, head , arms and legs.10 years old mannequin white color. Package deal 6 kid mannequins headless skin color from 1 year old.